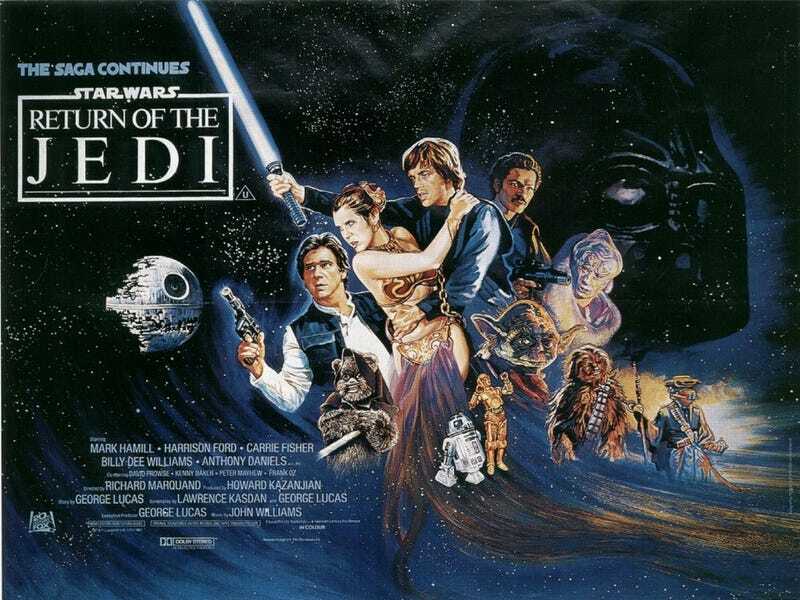 Star Wars: The Return of the Jedi isn't just the film that ties up the Original Trilogy with a bow — it's also the most grown-up of the original three films, because the series matured along with its audience. That's what director Richard Marquand claimed, in a rare interview, anyway. I have a son who’s about [that] age, and part of the Star Wars generation. So he was my most intimate link to the Star Wars saga. So that meant that what I was able to bring to the Star Wars saga, which the other directors couldn’t since they were dealing with a younger generation, was a certain kind of modern maturity, which you couldn’t have had in Star Wars [Episode IV], because you would have lost a lot of people. I was able to entertain the little kids with the Ewoks and all the stuff that made them feel safe, but I was able, at the same time, to give young adults the kind of things they’re looking for, which is a lot of excitement, a lot of showmanship. But they are also looking for true relationships and genuine emotions. I think that’s what has always been in the Star Wars saga, but I was really able to bring that out and make it work. I think that’s what Return Of The Jedi had that the others didn’t have. I’m not criticising the others: they simply weren’t ready for it.